A couple of weeks ago, my sister-in-law generously gave me several pounds of home grown tomatoes, the last picked of the season before the weather became cold. I was thrilled, but then my son became ill, and a week was lost at the hospital and helping him to recover at home. The idea of composting all those lovely tomatoes horrified me, so I quickly grabbed a cutting board and went to work…. Folks who have been reading the blog for a while know that I’m a big fan of the least amount of effort for great results. So, what’s something easy one can do when you have pounds of tomatoes and no idea what to do with them? Marinara sauce. 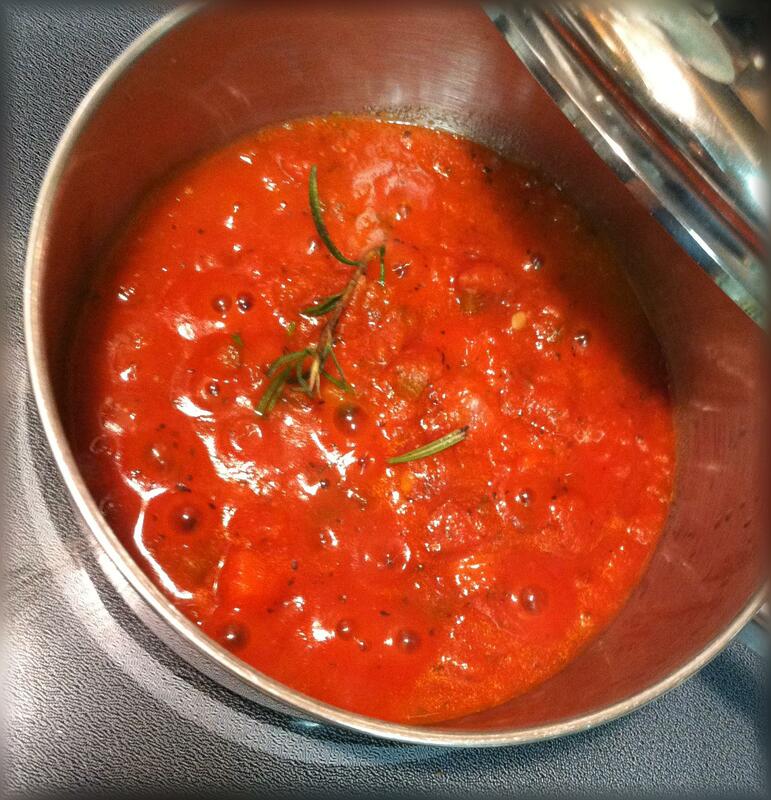 Marinara sauce is just a sauce made from tomatoes. If you make up a huge batch, though, you can freeze it and use it in a variety of ways: the base for a thicker spaghetti sauce, sauce for pizza, in Spanish rice, for ratattouille, the base for a cocktail sauce, for soups, to top enchiladas, in Sloppy Joe’s, the list is pretty never-ending. And what’s lovely is that unless you’re allergic to tomatoes, it’s allergy friendly, too – no nuts, dairy, egg, gluten, sugar, peanuts, etc….